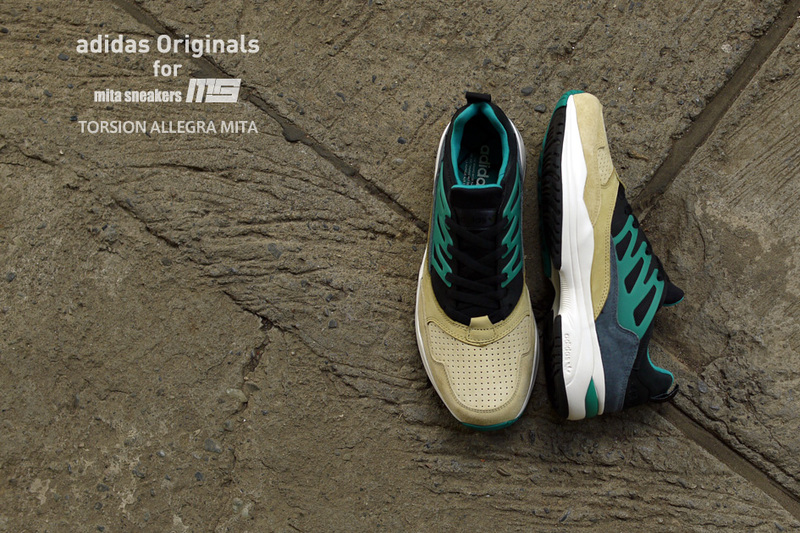 Tokyo's mita sneakers officially unveiled its newest collaboration today, presenting a special colorway of the adidas Originals Torsion Allegra. 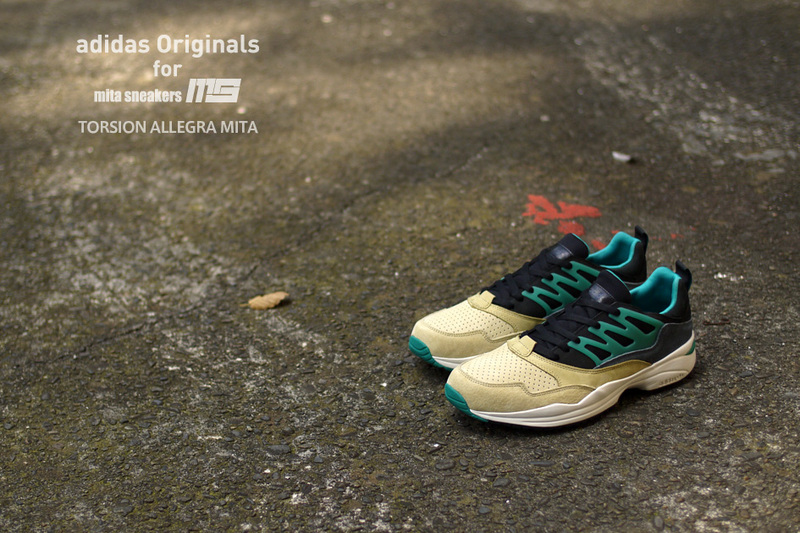 Inspired by the colors from the original adidas Equipment shoe box, the Torsion Allegra 'mita' features a beige, black, green and grey upper built with water-repellent suede. 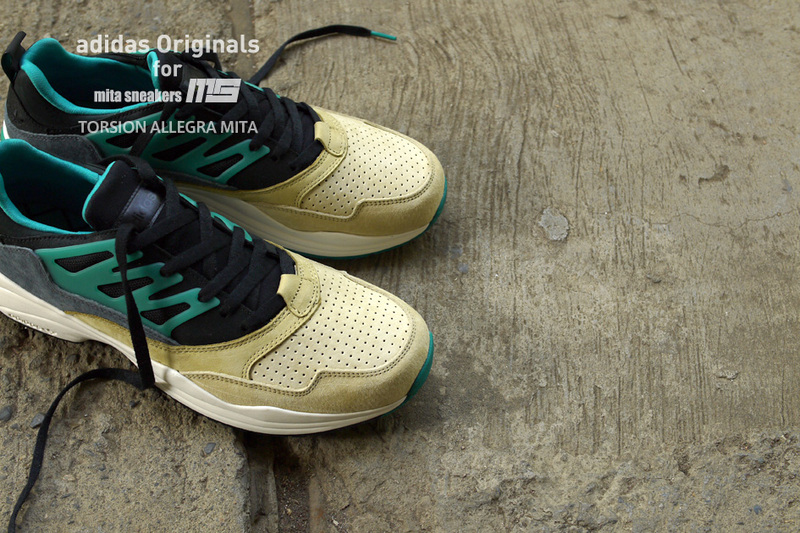 mita's signature chain-link graphic covers the shoe's sockliner, putting the shop's official stamp on the project. 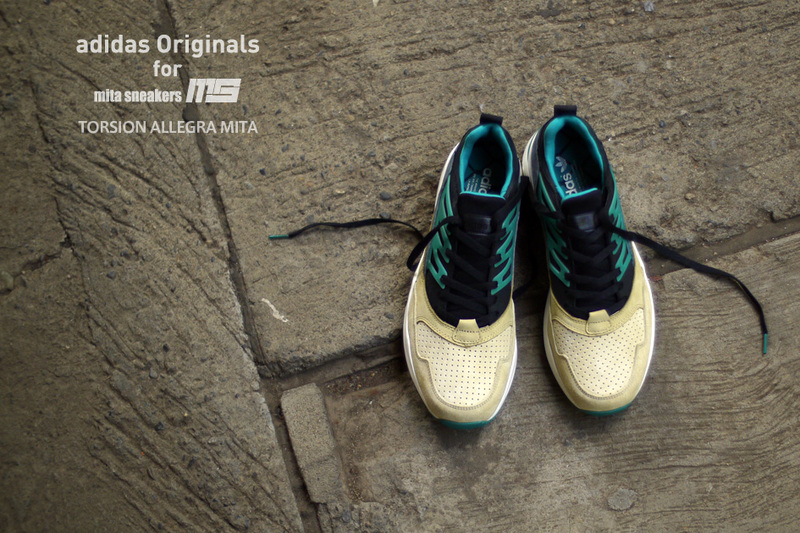 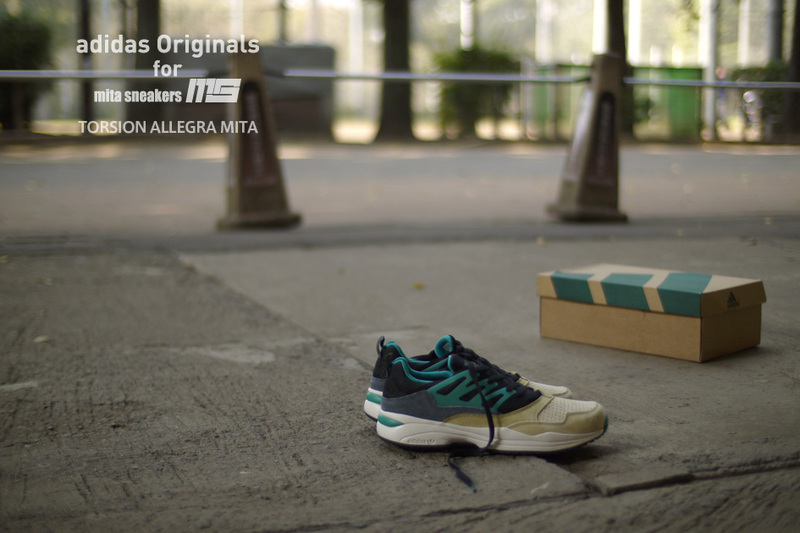 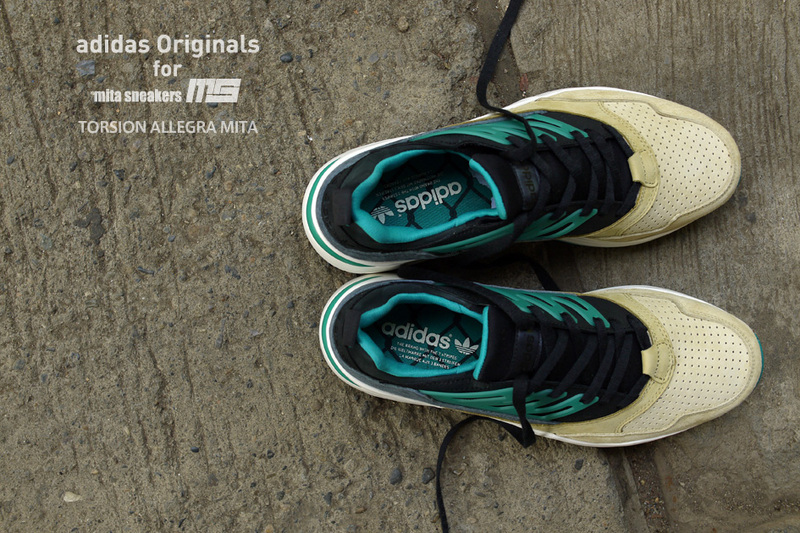 The mita sneakers x adidas Originals Torsion Allegra will release at mita on Saturday, November 9.